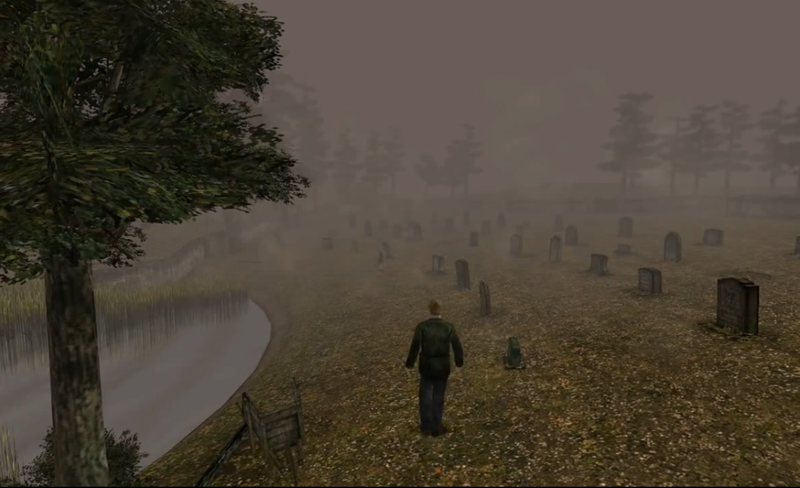 Depending on how the player has played Silent Hill 2, different kinds of endings can be achieved, which makes the process of interpreting them much more complicated. If the player acts like if he wants to find Mary and not play in a suicidal manner, then the ‘Leave’ ending will be achieved. On the contrary, if the player behaved in a suicidal manner, then the ‘In Water’ ending will be obtained. In case the player nurtured for the physical safety of Maria during the game, then the ‘Maria’ ending will be achieved. And in case of having already completed the game before, the player can obtain the ‘Rebirth’ ending by collecting a series of religious paraphernalia that weren’t present in the first play through. Because of all these different possibilities, the way that we see James’s personality also changes, complicating matters even further. For these reasons the community could never come to an understanding on what is really is the correct ending. Many tend to consider the ‘Leave’ ending the most appropriated one because in it James accepts his crimes and moves on with is life, adopting Laura in his way. This is in fact the happier of the endings and it ties nicely with the possibility of James being leaving purgatory and moving on to paradise. Besides that, at least in my experience, this is the most common ending to achieve. Nevertheless there are some aspects that can’t be ignored. Has we have concluded in this analysis, Laura and the fog are creations of the Crimson One, and the fact that we see him in this ending walking along with her into the misty horizon may mean that James didn’t understood anything of what happened. Notice that before this scene, James receives the imaginary letter from Mary again and that the name of the song that plays during the credits it’s called “Overdose Delusion”. I believe that for those reasons, James is still trapped in illusions and therefore hasn’t moved on with his life. Because he received the letter he may even return to Silent Hill after the contents of this one start disappearing once again, and a cycle is created. The ‘Maria’ ending is even worse when it comes to James being completely lost in illusion. He doesn’t even care if Maria is real or not and decides to go back home with her anyways. However, when they are getting near the car, Maria starts coughing in the same manner that Mary did when she was sick. Again, the start of a cycle is suggested. 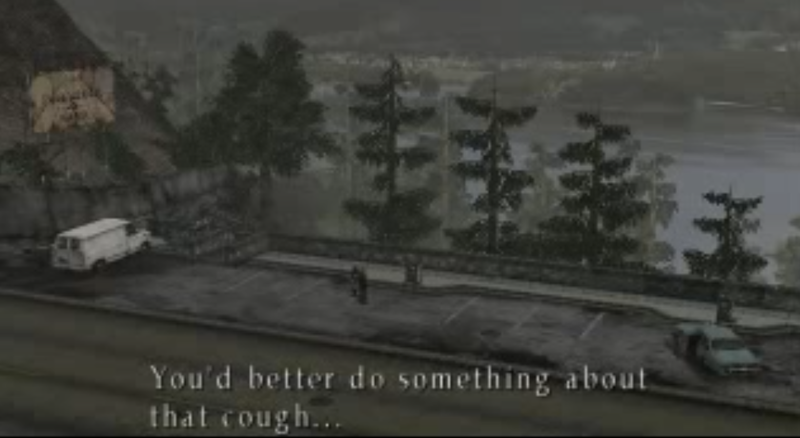 If we could accept the possibility of Maria being able to exist outside of Silent Hill in metaphysical terms, then it is implied that she would get sick just like Mary did and would die eventually, leaving James in a must worst mental state. Notice again the letter that Mary wrote is given to James once again. The ‘In Water’ ending is held by some members of Team Silent as being the true ending. If we think about it, there are various times were water is present in all sort of strange places, and one can argue that this is a sign that James did in fact commit suicide by driving his car into the Toluca Lake. In order to achieve this ending one must act with disregard for James’s wellbeing, which is something that perhaps James himself would do because of his psychotic denial and etc. Besides that, this and the ‘Rebirth’ ending are the only ones where James does not receive Mary’s letter back, which suggests the end of the cycle. Unfortunately James doesn’t accept the reality of his crimes and decides to die instead, but if we have in consideration the probability of him being already dead and in purgatory than nothing was solved and he will come back to Silent Hill once again. As said previously, to obtain the ‘Rebirth’ ending, one must have already completed Silent Hill 2 in the past. By normal standards this would automatically make this ending not relevant, but consider the following. 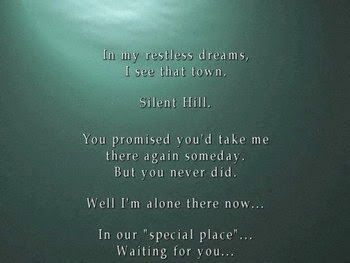 I believe that the act of replaying Silent Hill 2 is already part of the story itself. It is representative of James’s return to Silent Hill various times and trying different approaches to try and solve his problem, but to no avail. In all the other endings it is suggested that James will come back to Silent Hill because he did not understood the dimension of the problem he was in, or because he committed suicide. In this ending James tries instead to revive Mary and the outcomes of this action are unknown. The problem is that James being already dead and in Purgatory, he will only leave after he successfully atoned for his sins, which is something that he does not do here, at least not entirely. Because of that, even if he successfully revived Mary, he would still be trapped in Silent Hill and everything would start all over again. This raises an interesting possibility: could Maria be the outcome of the Crimson Ceremony? Even if that was true nothing would change anyways since when James leaves with Maria in the ‘Maria’ ending she gets the same disease as Mary and everything would start all over again. In all honesty, this sort of approach to the ending of this phenomenal game seems rather like a copout by the developers. Considering all the conclusions that we reached during this analysis, one can assess that there is an ending missing from the game. One ending where James does accept his crimes - repents them yes but accepts them, does not receive the letter from Mary, leaves a fog-less version of the town alone and sees a white light or something of that nature, suggesting his arrival at paradise. Nothing of this happening creates an eternal cycle, a conflict that is never resolved.